Screen privacy is becoming an ever increasing problem no matter where you are throughout the day. On public transport, walking down the street or working in a modern open plan office, there is increased opportunities for people to inadvertently or purposefully see what is on your screen. Has your visual privacy been violated? 69% of respondents said their visual privacy had been violated in the workplace according to a Visual Privacy Productivity study by Ponemon Institute LLC in 2013. If you think this percentage is high, next time you’re in the office or on your way to work on the bus or train, have a look around. Any illuminated screen you can see, can obviously be seen by others. You can protect your sensitive and confidential data inside the office and out with our range of 3M privacy screen protectors. A privacy screen for your tablet, laptop, or desktop screen prevents prying eyes from viewing your screen. Essentially a privacy screen stops people viewing your screen from the sides, while still allowing the user and anyone directly in front of it to still view the screen. Privacy screen protectors easily attach to your screen and are an efficient tool that makes your screen just for you. They allow pristine image clarity for those directly in front of the screen, while micro louver technology blackens the view for anyone who is at a 30 degree angle or greater. Privacy screens aren’t just for busy open-plan offices either. Freelancers working in co-working spaces or even staff working in different departments can benefit from certain information not being seen. Managers opening their office for meetings also benefit from knowing that occasional glances at a screen containing confidential data won’t become a liability. Privacy also matters for out of office staff using mobile devices in public areas, while screens will also give consumers greater confidence when using supermarket checkout devices. 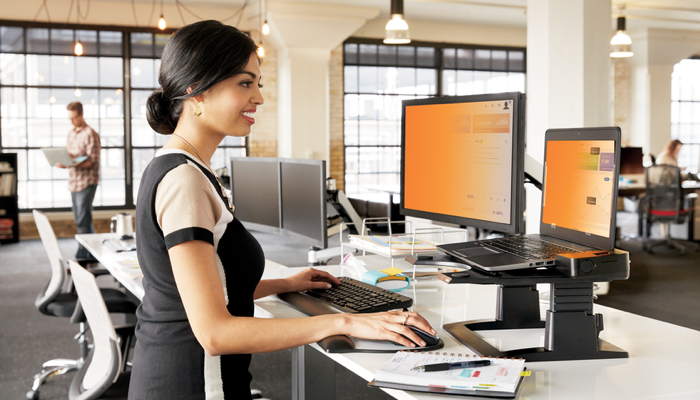 Even workstations located near windows will benefit from privacy screen protectors. Check out our range of vibrant gold and black 3M privacy screen protectors.